Benjamin Pollard, a candidate for Maine's open U.S. Senate seat, speaks during the Maine Democratic Convention on Saturday, June 2, 2012 at the Augusta Civic center in Augusta. 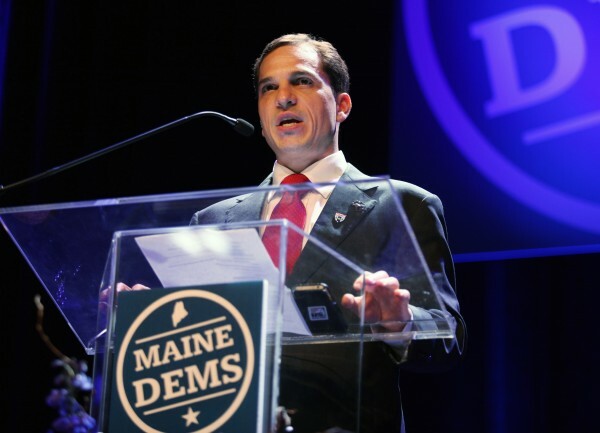 PORTLAND, Maine — Benjamin Pollard, who trailed his three competitors in early primary election returns in the race for the Democratic nomination to run for U.S. Senate, said Tuesday night that he will continue his campaign as a write-in candidate. As of about 10:30 p.m., Pollard, a builder, had garnered about 8 percent of the vote, which he said was a sign that his message of fiscal conservatism had resonated with Democrats. Asked whether he is concerned that his write-in candidacy would siphon votes from another candidate, making him a spoiler, Pollard said he suspects he could attract as many Republican and independent votes as Democratic ones. If early November rolls around and it’s clear Pollard has no chance of winning the election, he said he would bow out and endorse another candidate.